Not only an activist, but an actor...right? 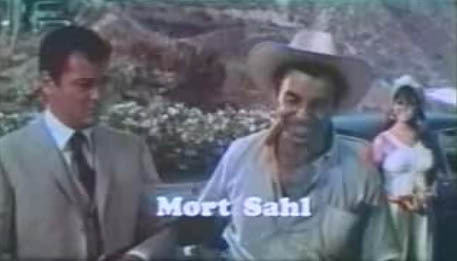 Nothing Lasts Forever (1984) as Uncle Mort. As seen above, a cameo role in a star-studded offbeat film that's become a cult classic. Reports are that it might finally get a DVD release in 2011. Inside the Third Reich (Made for TV 1982) as Werner Finck, the comedian who was arrested for being, well, the Mort Sahl of Germany in the 30's. Mort used some of his own gags in the scene where Fink is on stage being a tad "too political" for Nazi tastes. Doctor, You've Got to Be Kidding (1967) as Dan Ruskin, cynical talent booker and club owner. His cynicism is supposedly overwhelmed by the singing talent of Sandra Dee. The title comes from the risque premise of Dee being pregnant and having several possibilities for who the father might be. Don't Make Waves (1967) as Sam Lingonberry. A lame romantic-slapstick comedy headlining Tony Curtis and Claudia Cardinale, now considered a ghoul-worthy collectible as Sharon Tate's film debut. 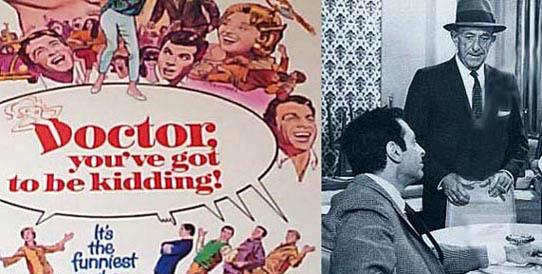 Amid Tony falling into a swimming pool or falling out of a plane, or falling around during an earthquake, Mort and Edgar Bergen made "guest star" appearances. Johnny Cool (1963) as nice guy Ben Morrow, one of the many guest stars given a brief chance (and no chance) against the title character, a ruthless hit man played by cold-eyed, plastic-faced Henry Silva. A film so pointless that despite so many guest stars (including Sammy Davis Jr. and an abused Elizabeth Montgomery) it's gone without a VHS or DVD release. All the Young Men (1960) as Crane, the platoon's wisecracking comic relief. 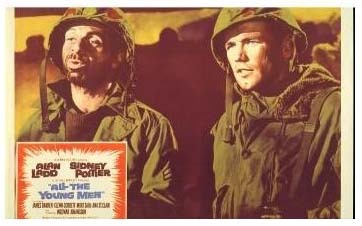 In Love and War (1958) as Danny Krieger. Both films gave Mort plenty of comedy material on his early Verve record albums.